Okay, so here's a quick review of Stacker 2 diet pill and fat burner. It's nothing revolutionary, it doesn't contain any out-of-the-ordinary ingredients, and it has a rather simple formula. The Stacker fat burner is certainly one of the "older" weight loss supplements that has been around for a long time. The old versions of stacker with ephedra based on the ECA stack is no more, but are now newly formulated products that still use the same stacker name. A long time ago, a lot of diet pills were based on the popular ECA stack - ephedra, caffeine, and aspirin. But a lot has changed over the years - ephedra was banned and new research has shed light on various different weight loss compounds. If you're still looking for Stacker 2 with ephedra formulas, I think you're out of luck. I'm unaware of where you can find it. Obviously, the Stacker fat burner formulas has changed as well, and we'll discuss some of the different ingredients contained in our stacker review here. As you may be aware, there are different versions of this fat burner. For example, there is a Stacker 2 XPLC, there is an ephedra free version, and there is also a Stacker 2 6 Hour Power energy shot product. We will be reviewing the XPLC Stacker 2 here. We have also received hundreds of different user reviews of stacker diet pills, so if you're looking for real user reviews, you can see it there. And if you've used this weight loss supplement yourself, please share your review and feedback as well. I'm sure other readers will appreciate it. Stacker 2 XPLC is dubbed as an advanced energizer with extreme performance that will boost metabolism. It consists mainly of a "proprietary blend" containing key ingredients including camellia sinensis, yohimbine, capsaicin, and caffeine. The amount of caffeine contained in this formula is around 150mg, which is roughly equal to drinking 1 to 1.5 cups of coffee. This is not all that high of a caffeine content, as I've seen various fat burners and supplements that contain far higher amounts. However, it's still important to note this amount for individuals who may be sensitive to caffeine. Caffeine is a mild stimulant that can be found from a variety of different sources, such as coffee, tea, guarana, and yerba mate. It stimulates the central nervous system, and increases alertness and focus. 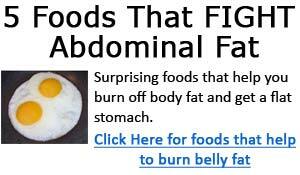 It's an ingredient that you'll probably find in most of the fat burners on the market. Don't be fooled by the complicated name of camellia sinensis, this is simply tea plants. The leaf buds of these plants are used to produce different varieties of Chinese tea such as oolong tea, green tea, white tea, etc ...There are numerous health benefits of tea and one of which is weight loss. Various studies have confirmed the weight loss benefits of drinking Oolong tea consistently. There are several Japanese studies that have found Oolong tea and green tea helped to increase energy expenditure. Other studies have also found tea to increase fat oxidation by as much as 12%. I won't go into detail about them here since we have a detailed article about Oolong tea and it's weight loss benefits here. Capsaicin comes from spicy chili peppers, and there are studies that have indicated its effectiveness as an weight loss compound. Also, it is interesting to note that there are also specific studies that have found the combination of capsaicin with caffeine and tea to produce weight loss results. For example, one study gave 27 human subjects capsaicin, green tea, and CH19 sweet pepper or a placebo for 3 weeks. They found that the capsaicin and tea group had reduced energy intake and that hunger was suppressed along with greater satiety - providing a strong case for this to support weight loss. Another similar study cited the fact that the consumption of caffeine, capsaicin, and different teas (green and oolong tea) are effective tools for the management of obesity. The study also stated that this combination may increase energy expenditure by about 5% and increase fat oxidation by up to 16%. Looking back at Stacker 2 XPLC ingredients, you'll see that it indeed contains caffeine, capsaicin, and tea (camellia sinensis). Overall, the Stacker 2 XPLC diet pill formula looks quite good. While Yohimbine's effectiveness is still up to debate, the combination of caffeine, capsaicin, and camellia sinensis has weight loss benefits that's been confirmed by science where it helps to increase energy expenditure while enhancing fat oxidation. As with fat burners that contain stimulants, there are some possible side effects of stacker 2, and some of these include: faster heart beat, jitteriness, dizziness, nausea, upset stomach, increase sweating, and restlessness. You should consider taking half of the recommended dose for the first few days to see how your body reacts, and then if all goes well, then increase to the full recommended dose. 1. Clin Nutr. 2009 Jun;28(3):260-5. Epub 2009 Apr 3. Effects of capsaicin, green tea and CH-19 sweet pepper on appetite and energy intake in humans in negative and positive energy balance. 2. Int J Obes (Lond). 2010 Apr;34(4):659-69. Epub 2010 Feb 9. Thermogenic ingredients and body weight regulation. 3. Isr J Med Sci. 1991 Oct;27(10):550-6.